I missed a day. But I didn't really miss it, I just didn't have the photos to show. 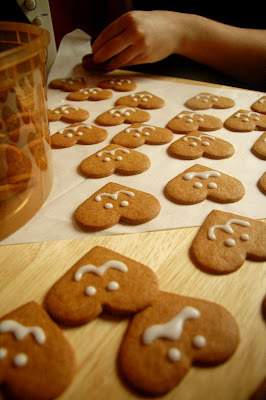 Anyway, this saturday my friends had a party and I helped them decorate gingerbread biscuits. And I drew moustasches on balloons, but you can't see them on the photos..